The US will start renegotiating the North American Free Trade Agreement (NAFTA) before the end of the month, Donald Trump has announced, speaking at the swearing-in ceremony of 30 new White House staff members. "We're meeting with the prime minister of Canada and we will be meeting with the president of Mexico, who I know, and we're going to start some negotiations having to do with NAFTA," Trump said. "We are going to start renegotiating on NAFTA, on immigration and on security at the border." 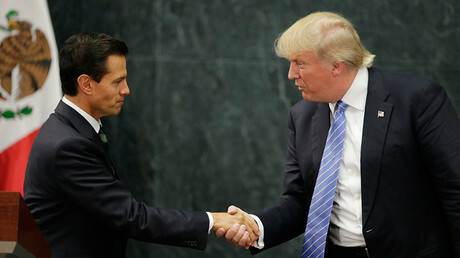 Trump, who is scheduled to meet the Mexican President Enrique Pena on January 31, praised his Mexican counterpart ahead of the meeting. "The president has been really very amazing and I think we are going to have a very good result for Mexico, for the United States, for everybody involved. It's very important," the US leader said Sunday. The new US president who assumed office on Friday, has not yet scheduled a meeting with the Canadian PM Justin Trudeau. The two will meet "soon," the White House said. 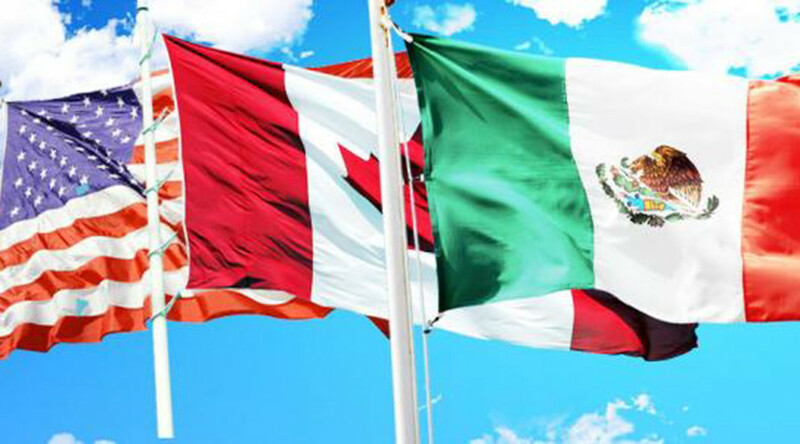 NAFTA was signed by the governments of US, Canada and Mexico in January 1994. The agreement covers trade between the three countries which together have almost half a billion people, and its key principle is the elimination of tariffs across these North American countries. During his campaign, Trump pumped up the rhetoric, and condemned NAFTA, describing it as "the single worst trade deal ever approved." Following his inauguration, the White House, which completely revised their web page with the coming of the new leader, mentioned NAFTA in two of its outlined policy papers. "If our partners refuse a renegotiation that gives American workers a fair deal, then the President will give notice of the United States’ intent to withdraw from NAFTA," according to a paper titled, 'America First Foreign Policy' and 'Trade Deals Working For All Americans', published on the White House website. NAFTA and other trade agreements, the White House says, resulted in factories being forced to shut down and "good-paying jobs" going overseas, while Americans were left with "a mounting trade deficit and a devastated manufacturing base." "With a lifetime of negotiating experience, the President understands how critical it is to put American workers and businesses first when it comes to trade. With tough and fair agreements, international trade can be used to grow our economy, return millions of jobs to America’s shores, and revitalize our nation’s suffering communities," the White House said.